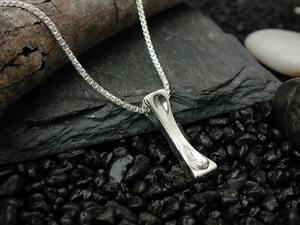 JKAT's stylized bone pendant on small box chain is a symbol of singularity and power, bringing together the past, present and future. This simple statement of elegance can be dressed up or down, depending on your mood. Available in 16" or 18" lengths.